A new study conducted by Durham University in the United Kingdom has produced findings that may result in finger prick tests for diabetes being performed along with other unrelated exams, such as eye examinations. The researchers found that diabetes testing in unconventional settings, such as with opticians, dentists, and chiropodists could help to diagnose millions of individuals who are living with Type 2 diabetes but are unaware of their condition for various reasons, such as a lack of visits to their general practitioner physicians. According to the researchers, earlier diagnosis of diabetes could help patients to manage the disease better; diabetes is the leading cause of blindness among the population at working age. The early detection of diabetes through this kind of testing could lower diabetes treatment costs for the U.K.’s National Health Service. The number of diabetics worldwide is estimated to be about 150 million, but up to 50% of diabetics are thought to be undiagnosed, which could lead to more severe complications when actual diagnosis does occur. Previous research has shown that health care professionals who do not normally conduct diabetes testing such as pharmacists and chiropodists can conduct simple blood tests that identify whether the patient has Type 2 diabetes. According to the researchers, even dentists have the capacity to perform such simple tests while patients are already in the office, eliminating the need for a separate doctor visit just to test for diabetes. The study was conducted by Durham University and the James cook University Hospital in Middlesbrough; it was published in the British Journal of General Practice. 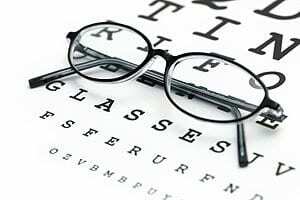 Though the study examined the possibility of conducting diabetic testing at various doctors’ offices, it focused primarily on the possibility of conducting them at optometrists’ offices. The researchers analyzed 1,000 participants who were visiting their opticians for eye tests. Of the patients who had risk factors for diabetes, such as a high body mass index (BMI) or an age over 40, about 32% of them were referred to their general practitioner physicians to be checked for diabetes after simple blood tests were conducted at the optician’s office. Since most diabetes screening is conducted in medical settings by general practitioners, and many individuals do not see their GPs regularly enough to engage in effective preventative care, the inclusion of blood glucose testing as a part of non-medical checkups may aid in detecting diabetes in these patients. The finger prick tests conducted in the study were random capillary blood glucose (rCBG) tests. They were conducted on patients who had one or more risk factors for diabetes. If the patient’s blood glucose level was elevated, he or she was advised to visit a GP for further testing. This entry was posted in Diabetes News on September 1, 2011 by admin.